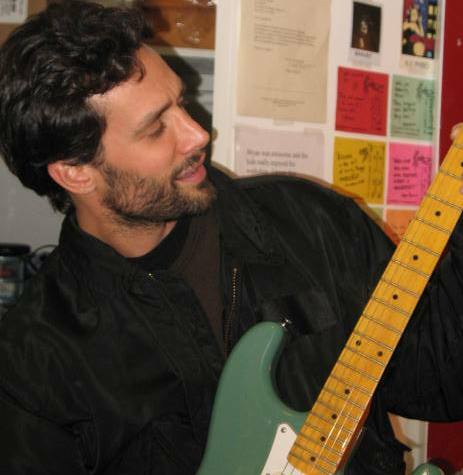 PRIVATE LESSONS: One-On-One Learning From NYC’s Guitar Specialists. All Levels. All Ages. No experience required. Beginners Welcome!. 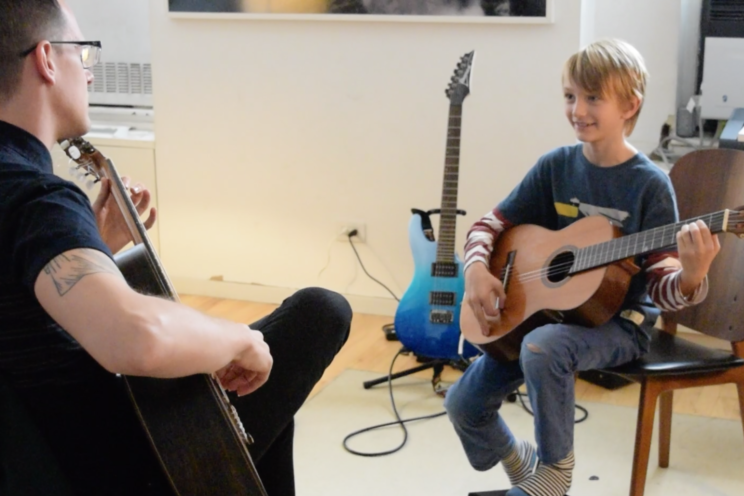 Hear from some of our successful private lesson students. 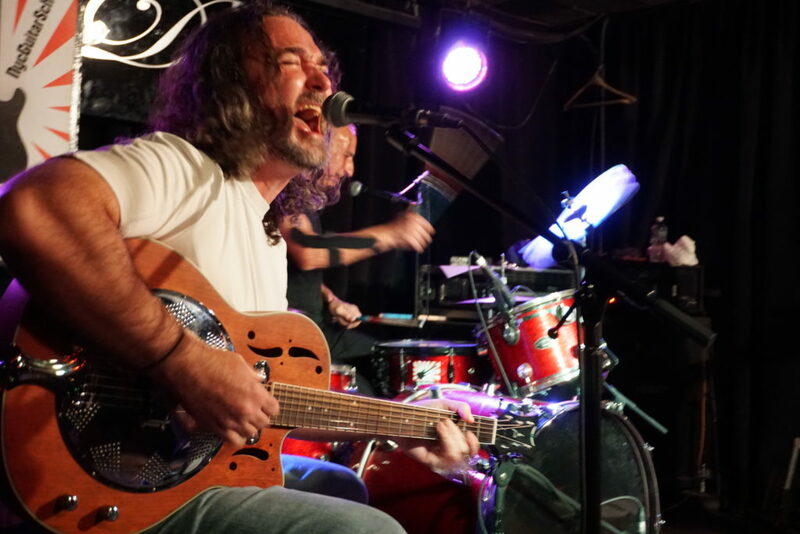 Unlock your guitar potential with one-on-one private lessons from NYC Guitar School. NYC's Top Teachers: trained, experienced, vetted. Flexible Scheduling for Busy New Yorkers. 4 studio locations or your Manhattan home. 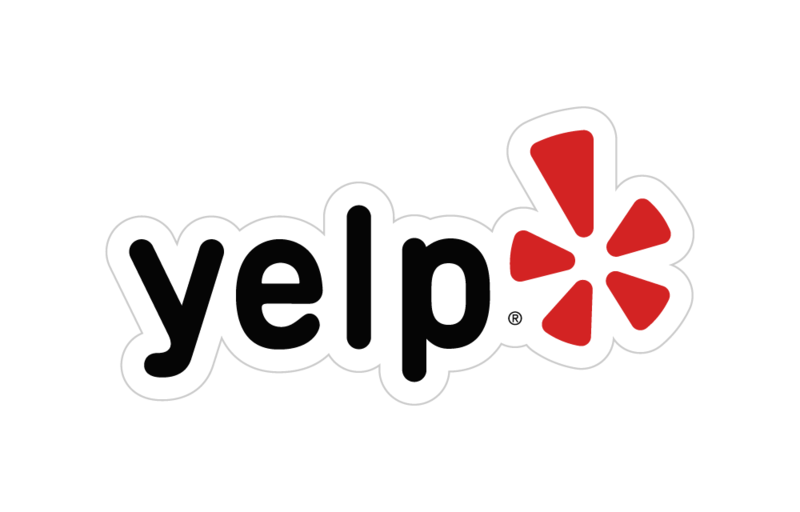 Over 5,000 busy New Yorkers have learned to play with NYC Guitar School teachers, and have given our school hundreds of 5-star ratings on Yelp, Google and Amazon. Get started now at your level and on your schedule. Start with a discounted trial lesson at our Midtown/Penn Station, Brooklyn/Barclays Center, Queens/Astoria or Upper East Side locations--or in your Manhattan home. Q: Where will my lessons be located? A: Private lessons are available in our Midtown, Upper East Side, Queens, Brooklyn and Westchester locations or in your Manhattan home or office. Q: How do private lessons work? A: The first step is to set up a trial lesson which you can now do online! Click here to get started or Call or e-mail our friendly staff. We'll ask you about your experience and interests and suggest one of our expert teachers for a single, no-obligation trial lesson. TRIAL LESSON. $50 for studio lesson. $60 for home lesson. STUDIO LESSONS. Individual 45 Minute Studio Lesson: $80. Discounted block rate for pre-paid sets of ten=$72.00 each. Discounted block rate for on-going sets of five=$68.50 each. HOME LESSONS (Anytime at your Manhattan home or office). Individual 45 Minute Home Lesson: $90. Discounted block rate for pre-paid sets of ten=$81 each. Discounted block rate for on-going sets of five=$73.50 each. For more info and to sign up for in-home lessons, click HERE. Q: What are on-going sets of 5 lessons? A: Any time you run out of credit, your credit or debit card will automatically run for a new set of 5 lessons...but this is not a contract! You can stop lessons at any time and receive a FULL refund of unused lessons. This is our most discounted lesson package. Do you prefer to pay with check or cash? ...or do you prefer not to be on auto-renew? You can also purchase a prepaid set of 10 lessons at a 10% discount. Just call our friendly staff to find out! Q: What if I'm a complete beginner? A: Don't worry! Our teachers are patient and supportive, and we have a top notch curriculum to help beginners gently achieve confidence and competence. Q: Do I need to bring my guitar to the school? A: You are welcome to bring your guitar, but you do not need to. Guitars are available for the use of students during the lessons. A: Yes! Experience extra motivation and fun by learning together with a friend for only an extra $10 per ongoing lesson. There is no extra charge for your trial lesson, though--so try it out! Q: What if I don't have a guitar? A: Economical guitar rentals are available. A: Yes! Attractive gift certificates are available for any number of lessons. 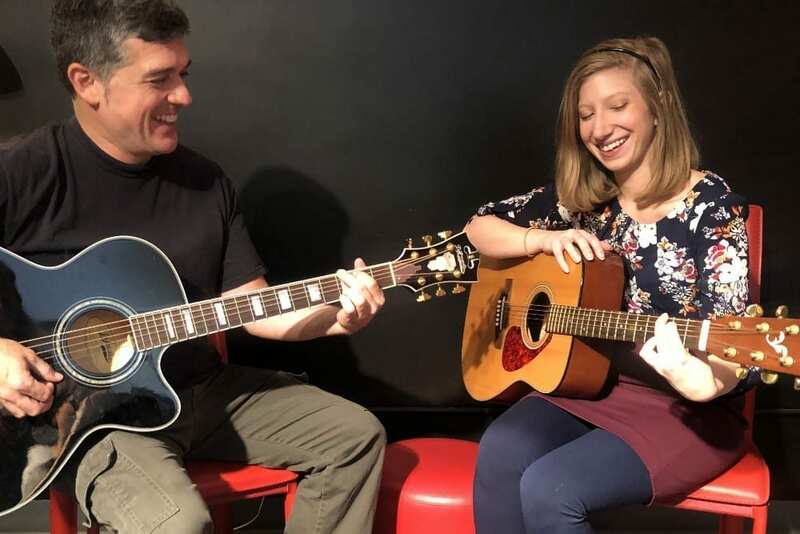 Unlock your guitar potential with one-on-one private lessons, on your schedule and at your level. 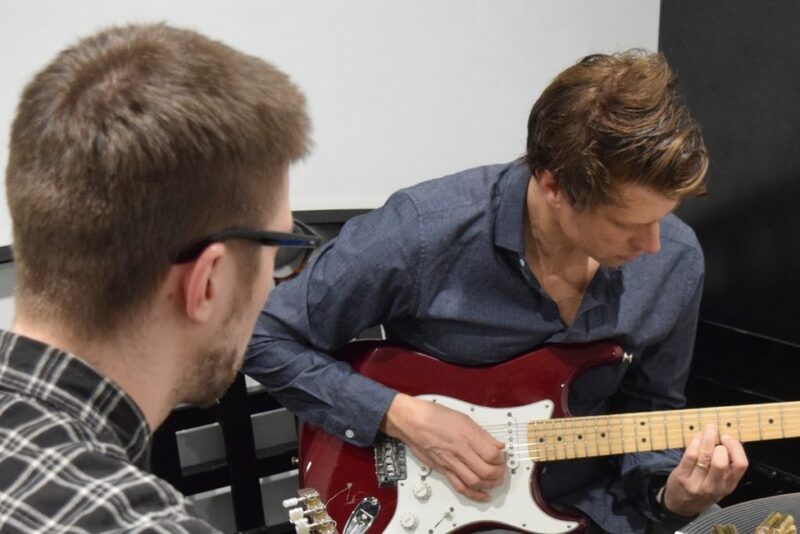 Whether you are a complete beginner or are an experienced guitarist looking to break out of a rut or expand your capabilities, our guitar teachers are dedicated to helping you achieve your goals. Get started with a single, no-obligation discounted 45-minute trial lesson for only $50.